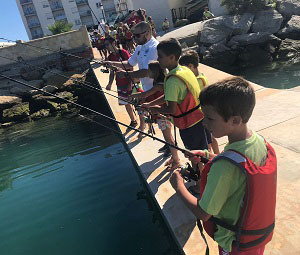 IGFA Representative Lorenzo Roca from Barcelona, Spain has recently partnered with the IGFA on our initiative to help build the next generation of ethcial, conservation-minded anglers. 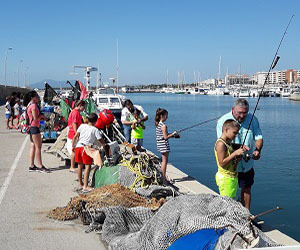 Through his recently launched “Kids School” program, Roca aims to introduce children in Spain to angling and the outdoors. 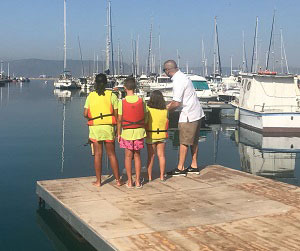 Utilizing the IGFA’s Passports to Fishing curriculum and materials provided through Roca’s partnership with the IGFA’s initiative to teach 100,000 kids around the world to fish by the end of 2019, so far the Kids School program has reached more than 200 young boys and girls through five events hosted throughout the country. 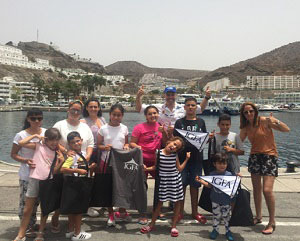 The IGFA thanks IGFA Representatives Lorenzo and Raul Roca, and all of the volunteers and sponsors who were involved in making the Kids School such as success!